A great majority of the urbanization in Venezuela took place due to the early oil exploitations. Towards the end of the XIX century, most early cities and camps were born next to oil fields. 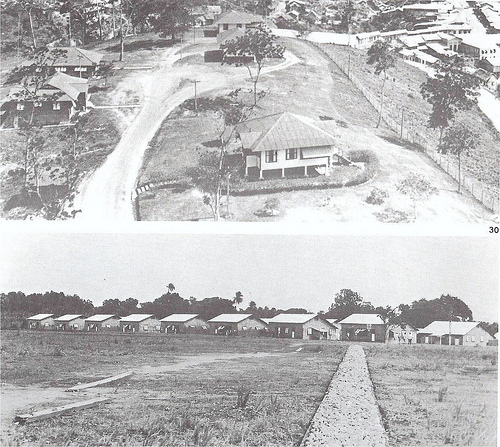 With time, these, “provisionary” camps, which included residential areas for the workers, began to grow, better their infrastructure, equipments and very quickly became small communities. Nevertheless, in the 1920s, these oil camps became the target of most social critiques as they were extremely segregated by working ranks. Neglecting this social critique, the camps continued to grow, fed mostly by a rural migration that was attracted by the possibility of employment and a better quality of life. This marks the beginning of the first barrios; and with time, the barrios extended to other cities not involved in the petroleum exploitation. Between 1936 and 1950, Caracas went from having a population of 258000 to one of 1 336000, and in the year 2000 reaching over 3 million inhabitants. Because of the natural topography of the city- a long valley where the surrounding mountains limit the expansion- the city began to grow into and onto itself. Because of the lack of strong urban and housing policies directed to both the production of housing and the creation of “livable” city, the majority of the population slowly improved and solved their own habitat, through auto-construction and incremental development, invading land inside and in the borders of the city, taking over the surrounding hills and ignoring most aspects of circulation and connectivity. The leading housing institution in Latin America, Banco Obrero (Workers’ Bank), was created in 1928. In 1941 began the first process of urban renovation EL Silencio, as well as the massive eradication of barrios favoring the construction of massive super-block projects such as the “23 de Enero.” These two mark the two largest moves in the flight against barrios. In 1945, the Banco de Obrero’s Housing Plan was established and aimed to terminate all unsanitary and precarious housing and replace it with the construction of 4000 housing units/year in the next 10 years. 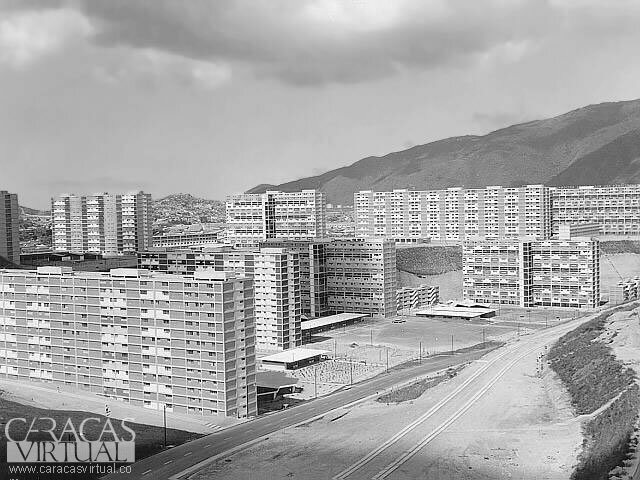 In the 1950s, although the eradication continued, the need for housing continued to grow and the massive displacement of people only resulted in the creation of new invasions in the Eastern and Western mounts of the city, thus giving birth to Petare (the largest barrio in Caracas) amongst others. Although the construction and rental of a “rancho” (house in the barrio) was considered illegal, politicians still supported the invasions in return for votes, providing them materials and protecting them from eradication. Between 1959 and 1964, the Banco de Obrero (BO) began various “sites and services” projects as well as some projects dealing with the rehabilitation of the barrios. Around 1970, through the leadership of Teolinda Bilívar and her collaborators, the BO created the first Program for the Urbanization and Equipment of Barrios. This pushed architects, planners, sociologists and students to work together in projects aiming for the construction of basic infrastructure and services in informal settlements. Nevertheless, as soon as the program began to take off, it was impeded by the same organization that created it, favoring the sites and services projects already began. The 1973 oil boom brought high financing to the public sector and accentuated the growth of the largest barrios in the capital. According to stats taken from edition 35 of the academic journal urbana, between 1950 and 1990, the informal population grew by close to 900%! Around the same time, various practices began to take place aiming for the “consolidación de barrios” (consolidation of barrios). These projects, in their majority, focused on adding new stairs, drainage, and black water management, yet never truly addressed the factors behind their uncontrolled growth and their physical and social reintegration into the formal city.